Being part of a UP workgroup. Weeks 3 & 4. 1. Jesus told His disciples, "You will always have the poor with you." What do you think that means? 2. A Haitian proverb once said, "God gives but doesn't share." Note: People who are know to say this have been people of faith, and normally poor as well. What do you think THAT means? 3. What will you take away from Camden and this experience? 4. Who can you be praying for? List their names. "So, I guess this is for a blog and I haven't really written one before (except for a summer packet for English) so if it's boring or something, sorry. My name is Christi Peace and I just wanted to talk a little about my week in Camden with the workgroup. I came with my cousin's church because I was at a fundraiser. I saw a video about UrbanPromise and suddenly I felt like I should go. I made the right decision because this week has been great! I have learned so much; even though I thought I would be the one helping others, I have really learned from the people here. Throughout the week I have both made friends and in my youth group and in my camp - Camp Spirit. ...I didn't even really have to do anything to cause my acceptance as their friend. They have shown me that kids in Camden aren't so different from kids like us in the suburbs. They like movies and clothes and have complex friendships, etc just like we do. Anyone who treats kids in Camden like a charity case only needs to come here to see that this shouldn't be done. They have pride in themselves just like us and don't need pity. They just need good friends and a caring group like UrbanPromise to give them a good environment. They need to hear about God's love just like everybody else, and deserve respect. I've also noticed that a good way to connect with them is to show them that suburban kids like us don't think that we are better than them. When they see that you can actually learn something from them, I think it helps break the barrier. ...It just goes to show that every dark cloud there is a silver lining, and that God has a plan and is in control. If He didn't make them. ...Even just the cleaning we did like window washing and picking up trash (which was awesome because I got to use one of those picking-up things that you see convicts use) helps UrbanPromise with it's mission. In all, this has been an incredible week, and I will always try to remember the wonderful people and kids I have met here. And I will pray for them, that they will achieve their goals, stay on the right path, receive love from others, and most of all that they would come to know the Lord. ...As a final note, I'd like to thank UrbanPromise and its leaders like Albert from Camp Spirit, for all you do here. It's incredible how you interact with and care for these kids. Keep at it because you are making a huge difference in their lives." "Camden, New Jersey. Only a two hour drive from our small town but it seems as though worlds apart. A friend in our group came here on a workgroup trip through her college. A sheltered white girl who had never been, well, anywhere. She didn't know what she got herself into, but we all know she came back a different person. She fell in love with this city. We wanted to be a part of what was going on here at UrbanPromise and taking a workgroup was our opportunity. We came in looking to save. Looking to bring change. We see trash on the ground. The drug dealers and the homeless. As the week went on, we realized that we were building relationships, but although we wanted to bring change to them, they were the ones bringing just as much change to us. They changed our perspective on this city. We now see the beauty, the potential, people who just need a little hope and I feel like that's what we did this week. Whether it was washing a window, pulling a weed, or washing out a locker, we made a difference this week. Camden, New Jersey. This city no longer makes us think of shootings of drug deals but makes us think of Nay Nay, Boo Boo, Dashaun, and Rahmir and how in the short week that we spent here we impacted them, and they too changed our hearts forever." "What will I bring home from Camden? I wish I could bring it all. The kids, the interns, the street leaders. The games, the songs, the bible studies. The devotions, the services, and even the work projects. I think it’s important, however, to not get overwhelmed by everything that’s happened. Yes, it’s been an amazing week but if we try to hold on to all we’ve witnessed, the most important stuff may just escape our grasp. That’s why this year, as I did last year, I’m trying to come up with the major lessons I want to leave Camden with. First, I’d like to remember what the real Camden is like. The general perception of this place is nothing like the real thing. Sure, driving through the rougher areas you can spot several police cars and the occasional drug dealer, but those are not the norm. The people of Camden are some of the most welcoming and friendly people I’ve met. Once I was able to overcome my prejudiced image of the city, I felt much more comfortable and at home. I’d also like to remember the strong urge I feel to continue volunteering. Putting faces and names to the immense poverty in Camden really helps give perspective. I can’t imagine the hardships that the children and families here have had to endure. It makes me appreciate the blessings I have been given even more. One of my greatest fears is that after leaving this place I will forget my desire to aid the people here. The transition back to living in a relatively affluent town can be a bit disconcerting, but hopefully that won’t happen. Finally, I really want to remember the hope and spirituality that I’ve found here. My pastor told our group that Camden is a “thin place” where the distance between God and us is unusually small. I could not agree more. The resilience of the students and staff of Urban Promise in such adverse conditions is so apparent that it’s hard not to acknowledge the presence of God here. If that resilience and spirituality can spread to the rest of the people in Camden it’s only a matter of time before the city takes a turn for the better. This past week has been a pleasure and I eagerly look forward to the next time I can come. Until then, these memories will keep me hopeful, spiritual, and vigilant." During their time there they will be working with the children in the after school program, training and developing teens to work in the programs and working to serve other local ministries in Copan Ruinas. While in Honduras the team of twelve from Camden will also get to visit the Mayan Ruins, a bird and ecological preserve and experience Honduran food, culture and the daily life of Honduran people. For the majority of the team it will be their first time in the developing world. Many of the young people going to Honduras have also participated in past mission trips to Iowa and Mississippi as well as serving others locally and even within their own “UrbanPromise” family. 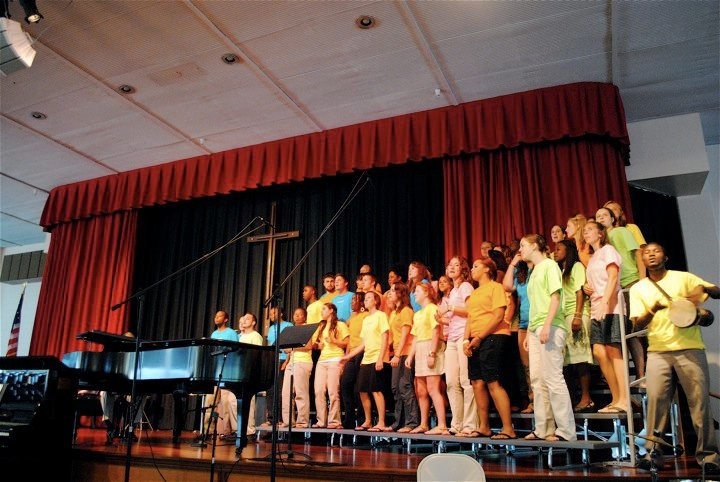 Through these opportunities the UrbanPromise teens and alumni share acts of love to meet the needs of those who are hurting and bring positive change to Camden, US and the world. The cost of the trip is $9,500. The group has been hosting fundraisers since early spring to help offset the cost of air fare, food, lodging, additional transportation costs and the educational trips. The total cost for each person is $792. Each student is required to pay for their passport and vaccinations. The team still has $3,000 left to raise. If you are interested in donating to support these young people please contact Shannon at (609) 876-9958 or soberg@urbanpromiseusa.org. Albert asked the boys just why they were still playing in the parking lot. The disappearing, humid sun was already behind the roofs of the row homes across the street. “We don’t get in trouble here,” one of the boys said. “We get in trouble everywhere else that we go." It seems to me that it makes a profound statement about UrbanPromise’s youth ministry when children refuse to leave the premises after the fun of organized programming is over for the day. It also makes a statement when young people hang out on our property because they don’t get into trouble. When the children and teens in our programs want 12 hours of UrbanPromise every day—that’s something worth listening to! So here’s more great news. Our staff, volunteer college missionaries and StreetLeaders will give up their afternoon naps and personal time to work extra hours coordinating more activities for kids—kids who just don’t want to go home. I’m amazed at their dedication! More sports leagues are being organized, Bible studies prepared, one-on-one relational times planned and many other supervised afternoon activities are excitingly under way. This is where I need help with your response. To get us through the rest of the summer with all these added activities we’re going to need additional resources. Would you match the commitment of our staff and college missionaries with a gift today to help us make it through the summer? 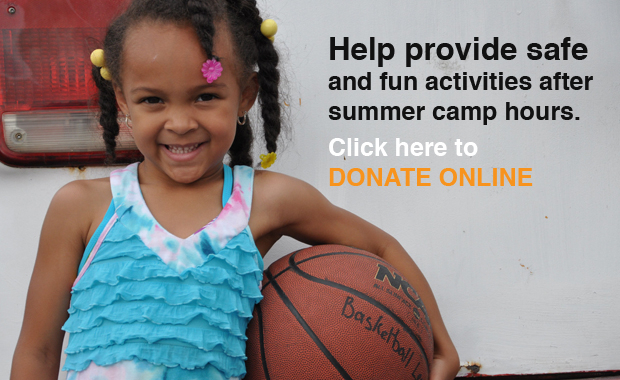 My hope is that you’ll respond to all our kids by sponsoring one of our after camp activities. You’ll be doing so much to help our kids do something healthy and stay off the streets!